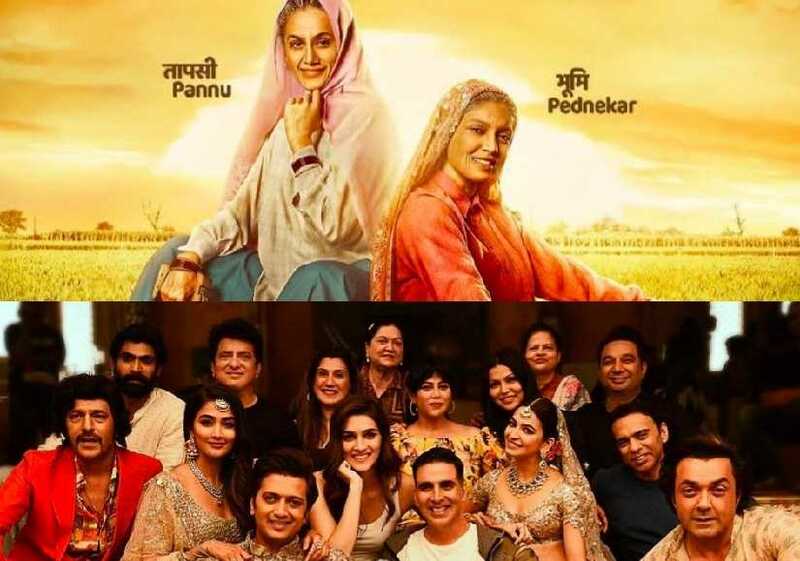 The release of Taapsee Pannu and Bhumi Pednekar's upcoming biopic, Saand Ki Aankh will clash with Akshay Kumar starrer comedy Housefull 4. Both films are set to release on Diwali this year. Saand Ki Aankh is based on the octogenarian sharpshooters Chandro and Prakashi Tomar. 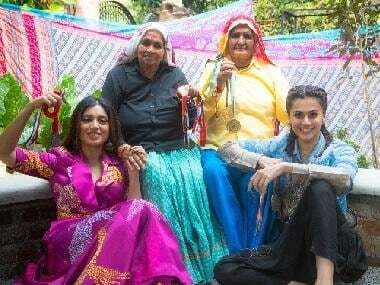 Apart from Taapsee and Bhumi, Saand Ki Aankh also features director Prakash Jha and Mukkabaaz actor Viineet Singh in pivotal roles. Set in the hinterlands of Uttar Pradesh, the film went on floors in Meerut in February. Originally titled Womaniya, the film was renamed Saand Ki Aankh, following a title rights dispute. The film, jointly produced by Anurag Kashyap and Nidhi Parmar, will mark the directorial debut of Tushar Hiranandani. Housefull 4 has an ensemble cast comprising Kriti Sanon, Riteish Deshmukh, Kriti Kharbanda, Bobby Deol, Pooja Hegde, Chunky Panday, Johnny Lever, Boman Irani and Rana Daggubati. The film, shot in London, Rajasthan and Mumbai, revolves around the theme of reincarnation and follows a non-linear narrative. The film was initially helmed by Sajid Khan, who stepped down following sexual harassment allegations and Farhad Samji came on board as co-director. Housefull 4 has been produced by Sajid Nadiadwala's banner Nadiadwala Grandson Entertainment alongside Fox Star India.